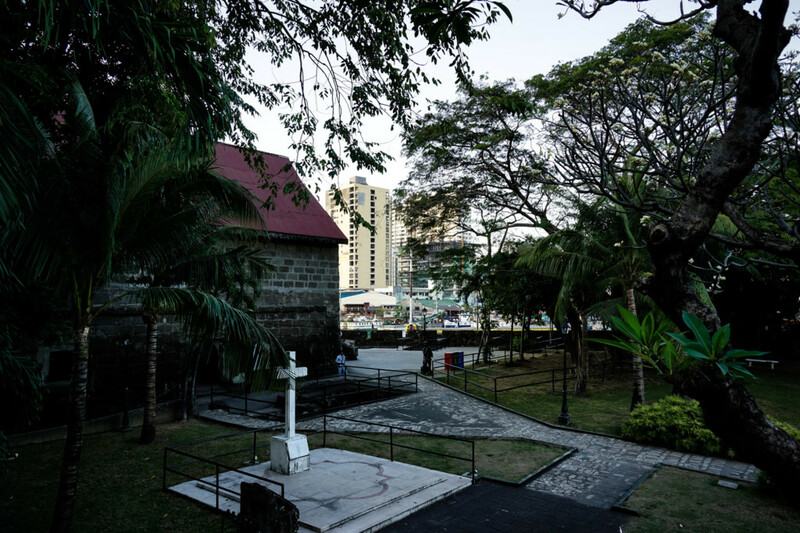 In one of the most historic parts of Manila, known as Intramuros, lies a darkly disturbing omen to the past. Fort Santiago continues to stand proudly in perfect condition within this area, visited by many people daily. The fort is designed in a Spanish vein. Intended to create protective walls, tasked with sheltering Intramuros from harm. 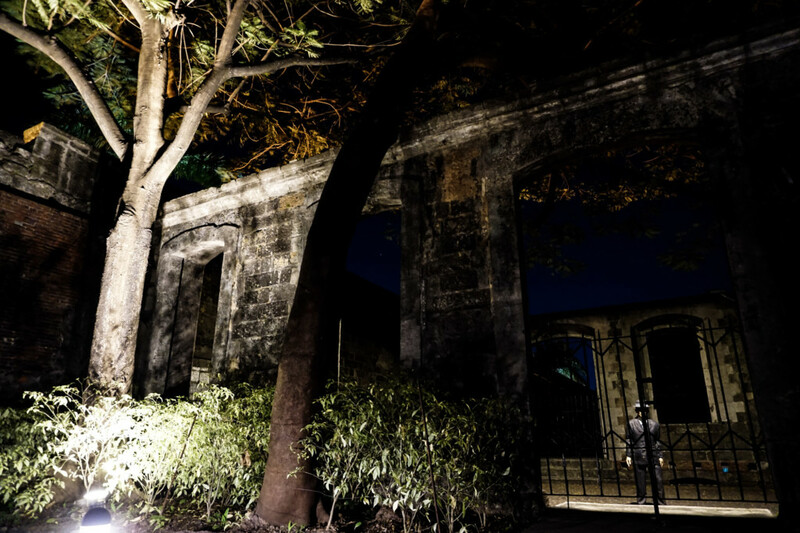 Inside the haunted Fort Santiago of Manila in the Philippines. During its lifetime, which dates back to the late 1500s, Santiago Fort has had many different purposes. One of these purposes was to function as a prison both during the Spanish Colonial Period and WWII. This resulted in poor living conditions, overcrowding, torture and many, many deaths. Some people claim this to be one of the reasons that make this fort so haunted. Looking out across the middle of Fort Santiago. A white cross sits as a memorial to those who died within the fort. 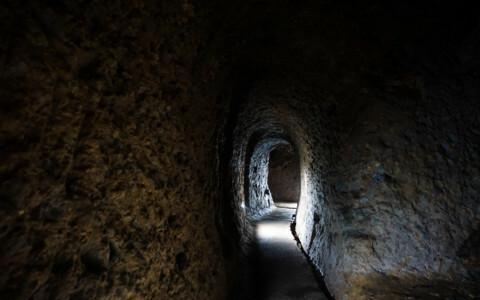 Whilst there are many ghost stories circulated about Fort Santiago, one stands out for centering on a particularly well-known ghost. Jose Rizal, both a national hero of the Philippines and Fort Santiago’s most famous prisoner is that ghost. Rizal was kept prisoner at the fort in the lead up to his execution. To this day, many people believe that Rizal’s soul lingers, still trapped within the former prison. He has been sighted in many areas around the fort. Though, mostly around the area that he was held just before his execution. Other have claimed to hear his voice or even his ghostly footsteps marching along the path he took to his execution site (marked out for visitors to walk inside the fort to this day). 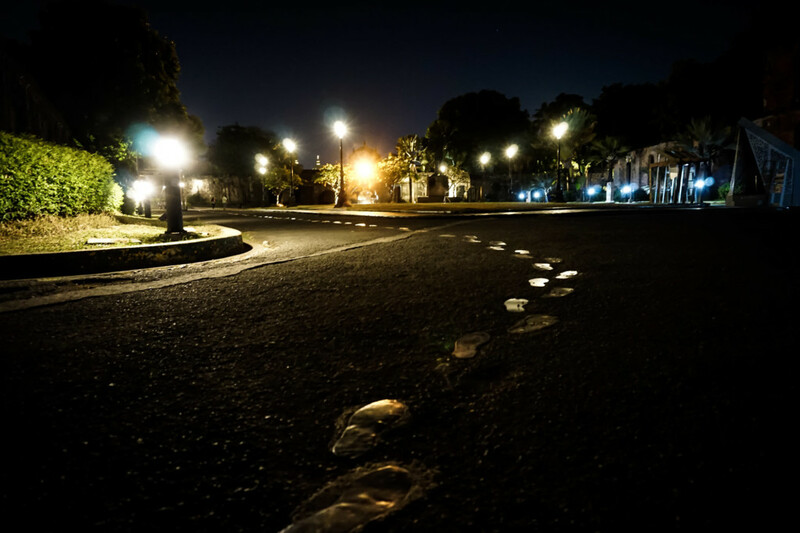 These brass footsteps cutting through Fort Santiago symbolize the last walk Jose Rizal ever took. In addition to the ghost of Jose Rizal, there are thought to be countless other spirits residing within the Santiago Fort. Many of these are thought to be prisoners that were tortured and executed in the dungeons after the Japanese captured the fort during WWII. 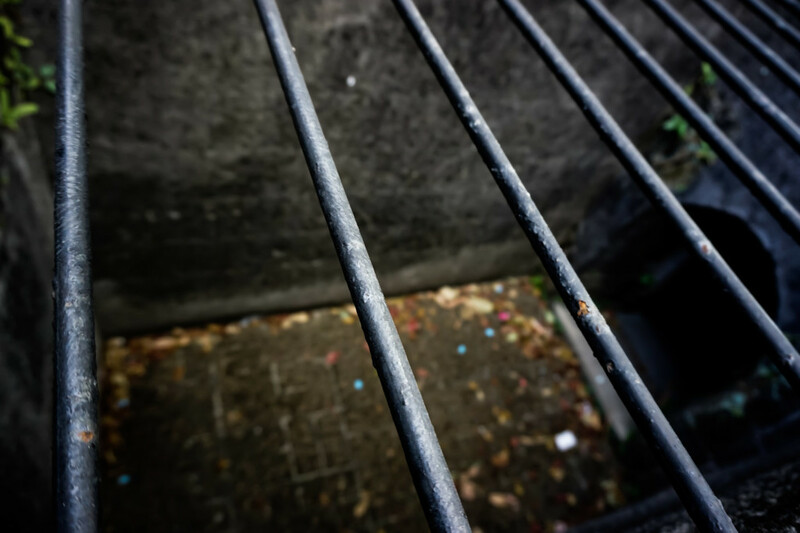 Visitors to the now historic museum and tourist attraction have claimed to sight the apparitions of these prisoners. Additionally, some have experienced unexplainable suddenly dropping temperatures, disembodied voices, screams and even being touched by unseen forces. Peering down into one of the deep prison cells within Fort Santiago. Furthermore, soldiers and civilians who were killed during WWII within the fort are believed to roam the premises. Especially the ones who were caught up in the battle between Japanese and American forces to reclaim Intramuros. This battle laid the city to rubble. 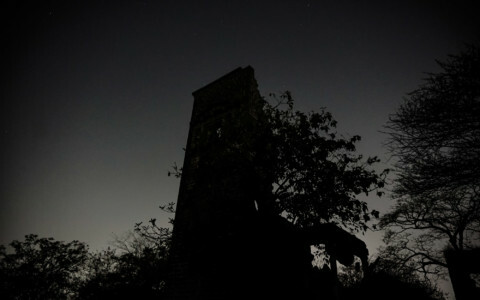 It also sadly claimed the lives of many, potentially also trapping their souls in this small area of the Philippines. 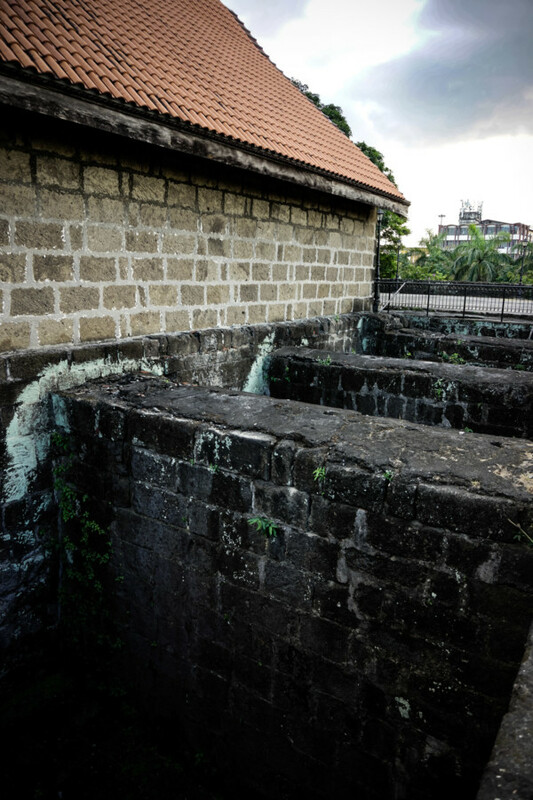 Prison cells lined up within Fort Santiago of the Philippines. Fort Santiago is open daily to visitors. A small entrance fee is charged for entry and the fort can be explored at the visitors’ own pace. Unfortunately, the lower level dungeons have been closed due to flooding and extensive damage from a recent storm. 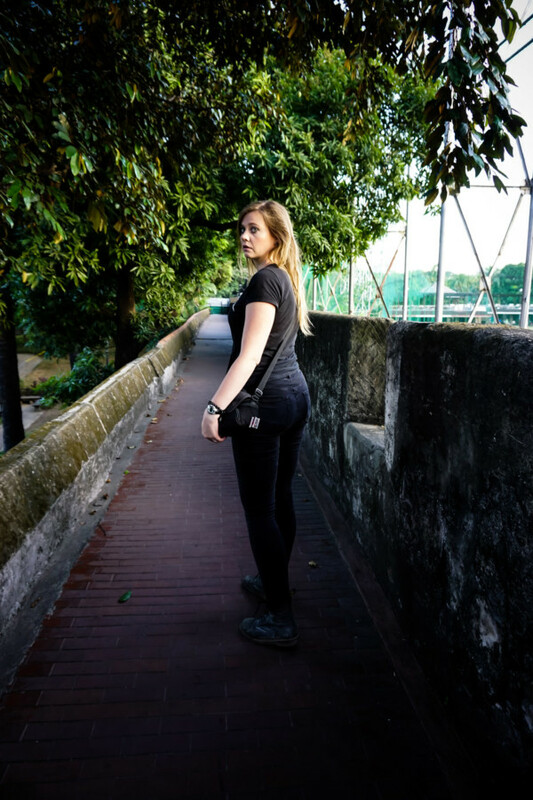 Walking the fortified walls that contained the city of Intramuros in Manila, Philippines. 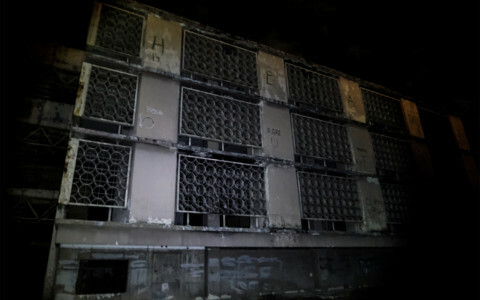 If you enjoyed this article and are looking for more haunted places to explore within the Philippines, I highly recommend checking out the Clark Airbase Hospital.